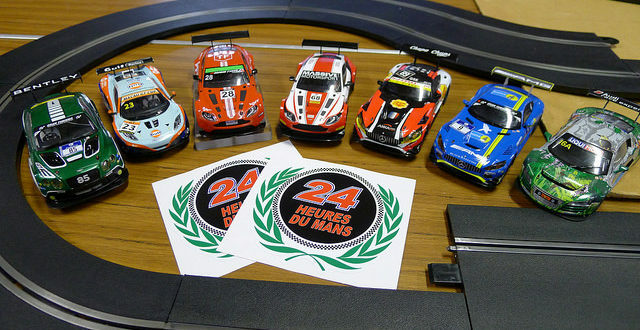 It’s exactly one year from when The Digital Slot Car Association published the GT4 Trophy standard, and what better way to learn a little more about it than a car preparation guide? 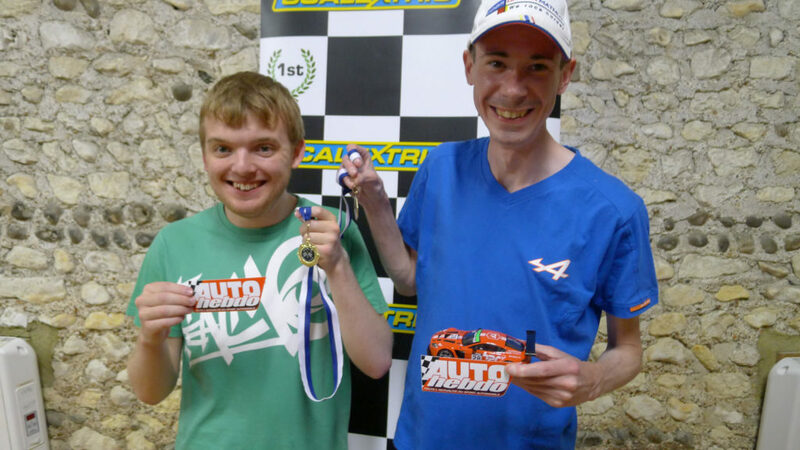 GT4 was created to enable small or medium size clubs to run equally balanced GT cars from accessible manufacturers such as Scalextric, Carrera and SCX. 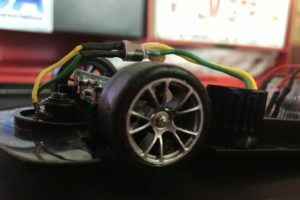 The standard call for mostly original components with a free tyre choice. 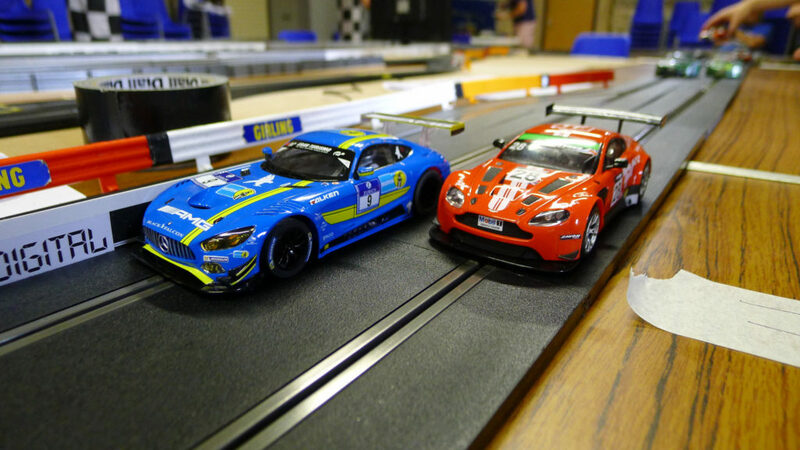 In this article, we’ll take a look at a sidewinder Scalextric GT car – The Aston Martin Vantage GT. For more information click here to download the spec. Braids – NSR ultimate racing braids, double-folded SCX style. Guide – 0.25 shim between guide plate and guide mount (chassis underside). Top of guide stem sanded down to enable flanged screw to set clearance to guide post. Wiring and connectors – standard, no modifications, with ferrite between guide and chip. Lighting – this car has a none-standard lighting installation, sourced from an MG6 BTCC car and wired directly to the motor. This is only because the car was supplied without any. Lights were required for competition, so a solution needed to be found. 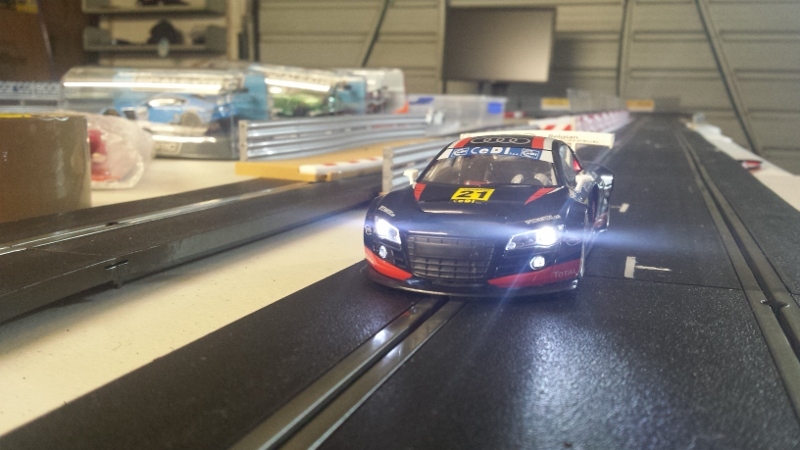 Ordinarily all Scalextric Aston Martin Vantages come with OE lights so it shouldn’t be an issue! 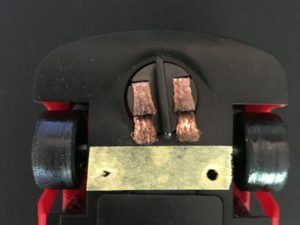 Front wheels – lightly trued using a dremel with a rubber tyre driving one plastic wheel and lowering the other on to sandpaper. Front tyres – original, reduced in diameter and varnished so that they barely skim the track surface. Front axel – side-to-side play was satisfactory, no modifications. 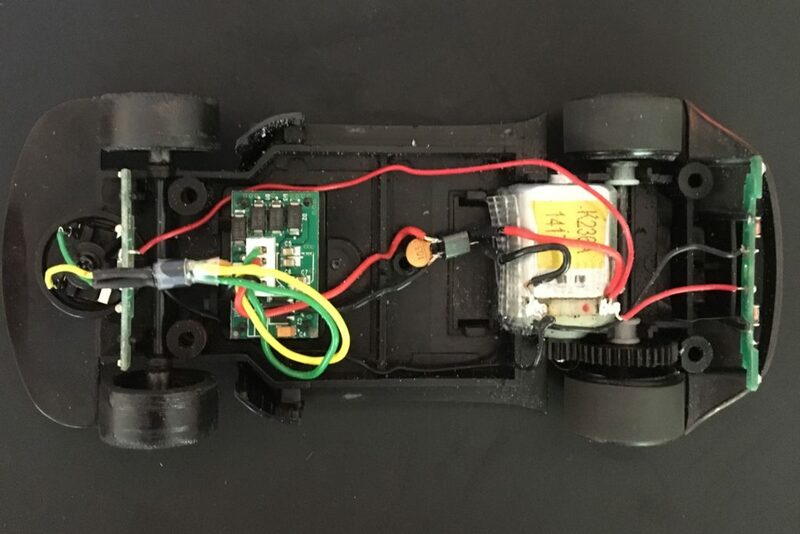 Motor – run backwards at 3.0V for 40 minutes, then forwards at 3.0V for 90 minutes. Fixed in bracket using hot glue. Traction magnet – removed as per regulations. No ballast added. Rear axel – 0.2mm shim added on non-drive side to reduce side slop. Axel bushes were glued using CA. 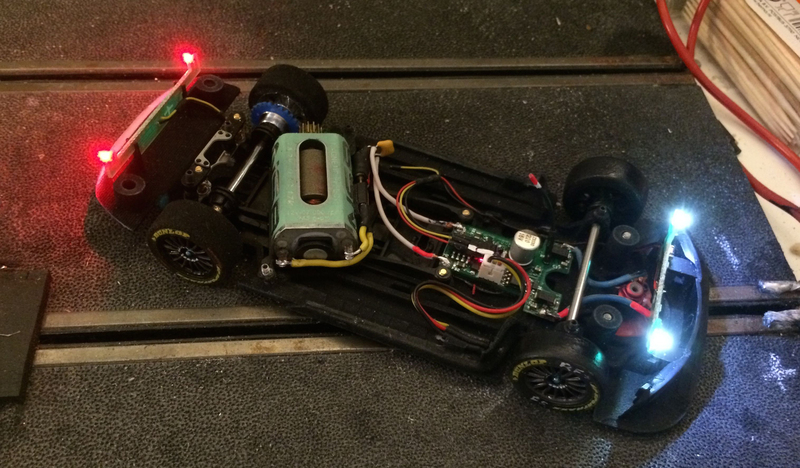 After motor running, the motor plus transmission were run together for 20m at 9.0V. Rear wheels – moderate truing on the axel from power to the motor. Rear tyres – Paul Gauge XPG 1924LM. Lightly sanded to remove shiny coat and pin-prick air bubbles beneath the surface. 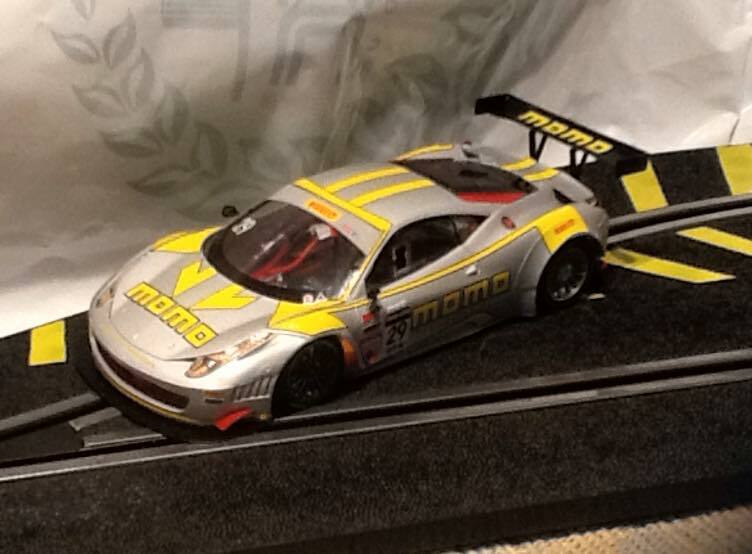 Decal sheet – TF Sport / HPR Racing 2014. Designed by Gary Skipp, printed by Colin Hughes. Contact us for re-prints! ERROR: Error validating access token: Session has expired on Thursday, 04-Oct-18 08:02:04 PDT. The current time is Saturday, 20-Apr-19 17:56:52 PDT.